Recall co-chair Steven Wilkerson (blue shirt) looks on as Brian Pope is escorted to jail after the marshal's probation was revoked in February. A crack has appeared in Marshal Brian Pope’s criminal defense strategy. 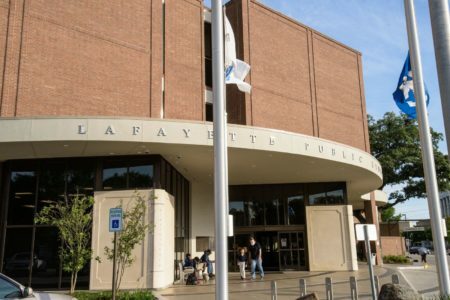 In both criminal and civil proceedings, Pope’s legal team has argued that Lafayette Consolidated Government has no right to produce the marshal’s email records — which are central to the ongoing imbroglio — in response to public records requests. His attorneys asserted that position in an attempt to block the release of records to local TV outlets and are using it to suppress evidence in his criminal trial. That means his basic legal strategy is to conceal public information. However, a chain of legal setbacks set off in March when a U.S. district judge ruled that the Secured Communications Act, a federal privacy statute cited by Pope’s attorneys, did not apply in a civil proceeding involving LCG and TV stations KADN-TV15 and KATC-TV3. Two weeks later, a federal magistrate cited that ruling in recommending that the marshal’s separate civil suit against LCG officials be dismissed on the same grounds. That raises the possibility that the March decision could ultimately hamper a key legal strategy in Pope’s pending criminal trial. Earlier this year, claiming protection under the SCA, the embattled marshal filed suit to prevent LCG from releasing emails between him and his deputies after they arrested Lafayette resident Steven Wilkerson for allegedly writing hot checks totaling less than $200 two decades ago. Wilkerson co-chaired the effort to recall Pope from office, and the very afternoon that campaign failed, Dec. 11, Wilkerson was picked up at his home by deputy marshals for the misdemeanor offense. With the statute of limitations having long expired, the charges were quickly dropped by the district attorney. TV stations KADN and KATC, suspicious that Pope may have broken the law to target a political enemy, filed public records requests to LCG. LCG provides email service to the marshal’s office. On March 19, U.S. District Judge Dee Drell ruled that the SCA did not apply in Pope’s argument to stop production of emails related Wilkerson’s arrest because LCG is not “a public provider of internet services,” which is required for the disclosure to fall under the purview of the act (as it turns out, there were no emails related to the arrest). Soon after, on April 4, U.S. Magistrate Judge Carol Whitehurst used that decision as the basis for recommending that an earlier lawsuit Pope filed against two LCG officials, former Chief Administrative Officer Dee Stanley and Assistant City Attorney Mike Hebert, be dismissed. 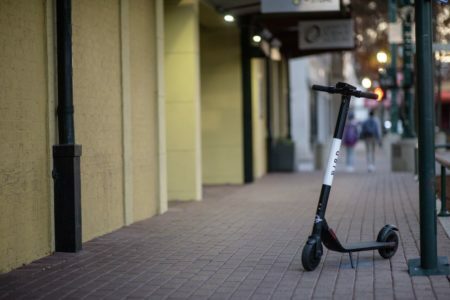 Pope has 14 days from the time of service to object to the recommendation. According to local attorneys, Drell’s decision is even more critical because it may be used in the seven-count felony case against Pope, in which he is seeking to suppress emails released by LCG that formed the basis for some of the charges. Attorneys and prosecutors in that case are under a gag order and unable to comment on the possible implications of Drell’s decision. In late March, District Court Judge David Smith held an evidentiary hearing on whether those emails — which were obtained by The Independent newspaper from LCG in 2015 after Pope deleted and/or refused to turn them over — should be admitted into evidence in the case. Pope’s criminal troubles stem from a public records lawsuit filed by The Independent after the marshal held a 2015 press conference at his office, flanked by on-duty officers, to attack Mark Garber, who at the time was in a runoff for sheriff against Pope’s preferred candidate Chad Leger. In the lawsuit filed by the paper, District Court Judge Jules Edwards ruled that the emails were public records that had been legally turned over by LCG and cited them in his decision to hold Pope in criminal contempt of court, an unprecedented finding that included thousands in fines, jail time and community service. Pope failed to perform his community service and in February was sentenced by Edwards to 30 days in jail. 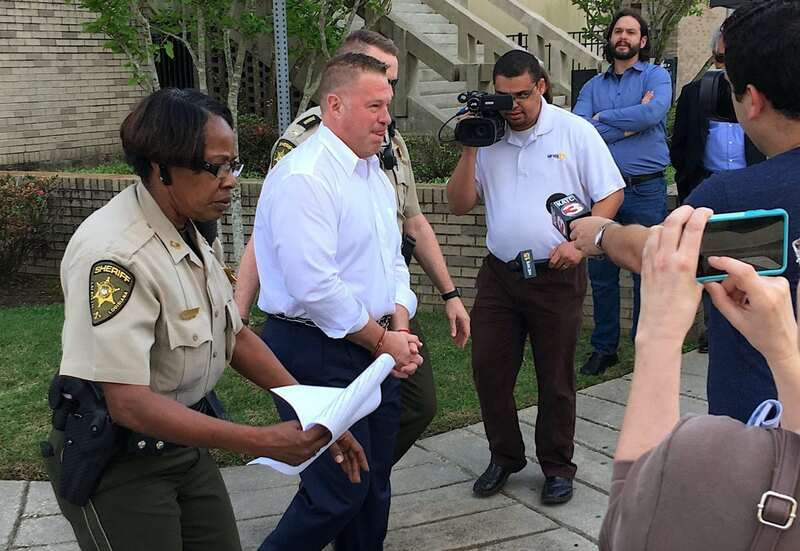 He served a week in the Lafayette Parish Correctional Center and was released after the Third Circuit Court of Appeal stayed his sentence pending its review of the case. On May 21, Judge Smith will decide if the emails should be suppressed, whether Pope should be tried separately on some of the charges, and on Pope’s change of venue request. No trial date has been set. Perjury: Pope is accused of lying under oath during a Dec. 28, 2015, video deposition in the public records lawsuit with The Independent. Prosecutors allege Pope lied when he denied authorizing the mass distribution of a press conference announcement for the event, which turned out to be a political event on public time. Perjury: In the same deposition, Pope is accused of lying when he denied that he had been working with Hilary “Joe” Castille, Chad Leger’s campaign manager. Pope and Leger at the time had both professed their friendship and political alliance. The press conference in question accused Sheriff Mark Garber, then Leger’s opponent, of encouraging illegal immigration. Malfeasance: Pope is accused of using his public employees to draft a fundraising letter for his personal campaign. Malfeasance: This count accuses Pope of breaking the law when he hosted the Oct. 7, 2015, press conference central to his case by using public funds and time for political purposes. The event was held at his office during business hours and while he was flanked by uniformed deputy marshals. Malfeasance: Pope is accused of using public funds for political purposes by allegedly paying a private citizen to sue to unseal Garber’s divorce records. Malfeasance: After Pope was convicted of contempt-of-court in the public records lawsuit for failing to produce the records, the marshal used public funds to pay an attorney to appeal the conviction. Also, check out KATC’s handy timeline, which will take you from his pre-election troubles through the start of the recall effort.